The elegant edge-to-edge knit is made from lightweight cotton, perfect for layering. 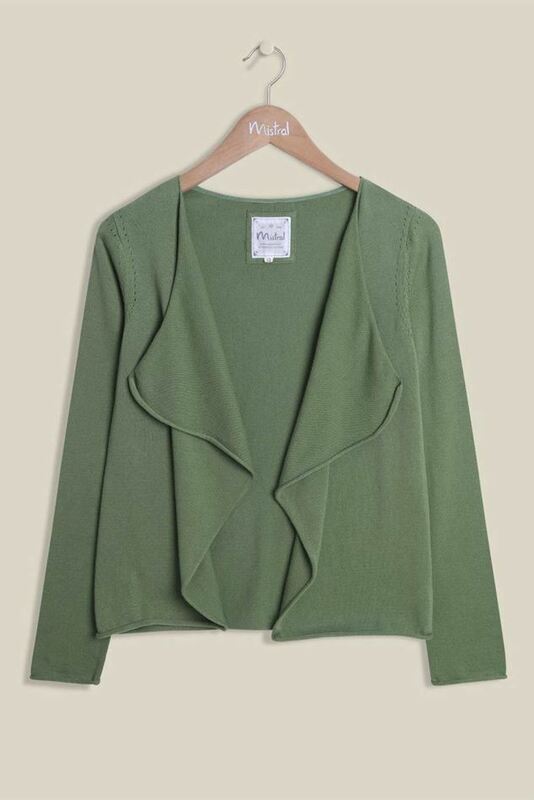 Designed in a beautiful soft green, the clean cardi features long sleeves with delicate detailing around the shoulders. Inspired by the fields of Wiltshire Water Meadow, our Tea Cardi is a must this season. The elegant edge-to-edge knit is made from lightweight cotton, perfect for layering. Designed in a beautiful soft green, the clean cardi features long sleeves with delicate detailing around the shoulders.